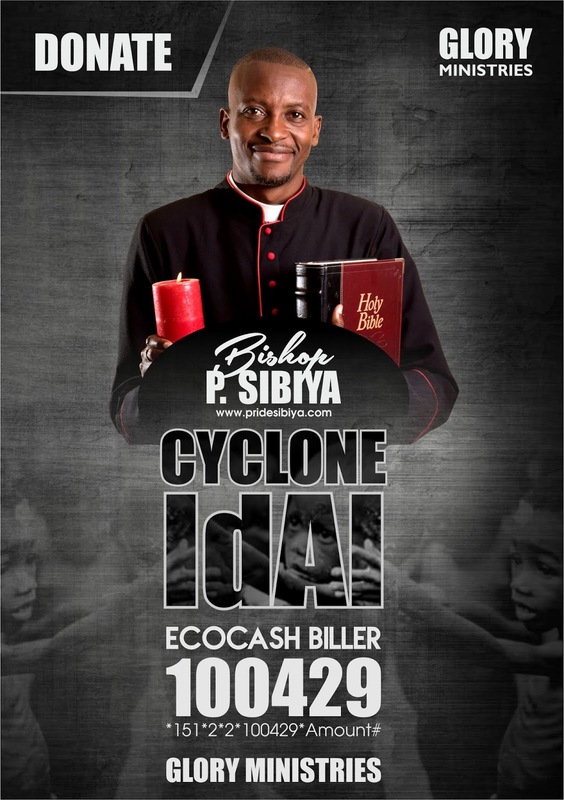 Apostle Pride Sibiya, who is the founder and president of Glory Ministries has called for prayers and support for the many victims of Cyclone Idai, which has caused widespread destruction and flooding in the southeast African nations of Mozambique, Zimbabwe, and Malawi. Speaking on his website www.pridesibiya.com, the Bishop of Glory Ministries said: Ladies and gentlemen, I come to you at this dark hour that has befallen our people in Madagascar, Mozambique, Malawi, and Zimbabwe ... Dear beloved stand with me as we pray and also support these, our friends and relatives with foodstuffs especially imperishables and tinned foods, blankets, clothes, medicines, building materials, and all that you can. Details of Cyclone Idai: The northern town of Beira, Mozambique and nearby towns have been devastated by Cyclone Idai, leaving thousands in urgent need of food, water and shelter. From a recent BBC report, "Floods of up to six metres deep have caused 'incredible devastation' over a huge area in Mozambique, the World Food Programme (WFP) has said, with homes, roads and bridges washed away. The current flood zone is estimated to cover 3,000 sq km (1,200 sq miles). Aid staff who flew over the area have spoken of 'inland oceans extending for miles and miles.' An estimated 600,000 people have been affected in Mozambique according to a UN report." 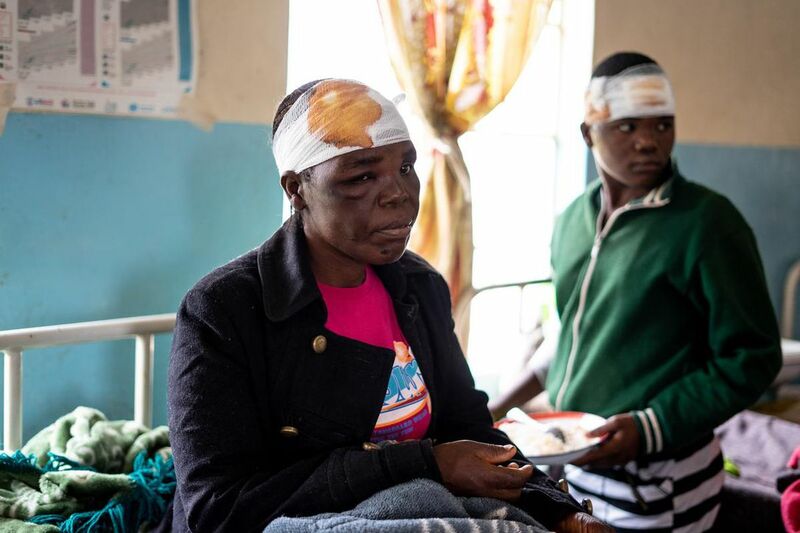 The cyclone also struck parts of Zimbabwe and Malawi and has had a devastating impact on the towns and people living on the Mozambique-Zimbabwe border. The cyclone has claimed more than 200 lives in Mozambique, 139 in Zimbabwe and 56 in Malawi, officials said. Those numbers are expected to rise sharply. Right now, the affected parts of Mozambique are largely inaccessible, and telecommunications infrastructure has been damaged, making communication with the area difficult. The Mozambique and South Africa churches, as well as Glory Ministries under Apostle Pride Sibiya, will be raising funds and obtaining donations of food and clothing that can be sent to Zimbabwe's Chimanimani and Chipinge. We are looking for financial and in-kind donations that we can get to reliable agencies as soon as possible. Any help would be greatly appreciated. Without emergency, shelter families will be sleeping in the open or in overcrowded buildings. Without clean water and sanitation deadly water-borne diseases like cholera can spread. Please donate today to help families hit by yet another disaster.